Burger Chef was founded in 1954. Burger Chef at one time was the chief competition for McDonalds, but the company no longer existed after the last restaurant was closed 14 years ago in 1999. The Burger Chef restaurant chain started with the opening of a fast food restaurant in Indianapolis, Indiana in the 1950’s. 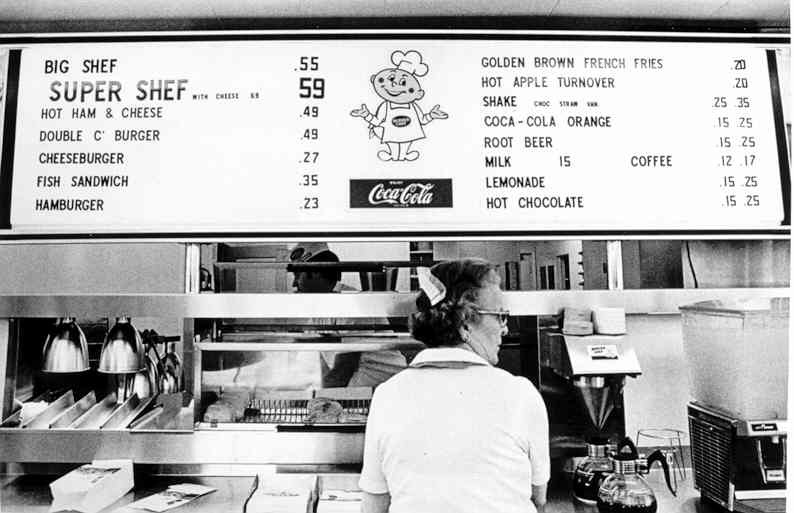 Burger Chef featured a 45 cent combo, which consisted of 15 cent hamburger, 15 cent French fries and 15 cent milk shake . This same combo today would cost at least $3 and up since shakes aren’t usually included in combo specials. 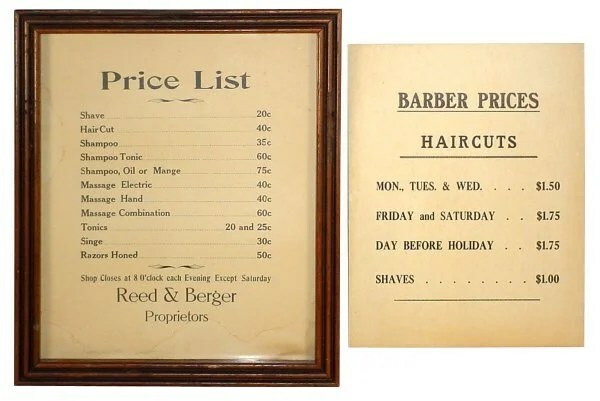 This menu shows prices of a combo had skyrocketed to 60 cents with 23 cent hamburger, 22 cent French fries and 25 cent milk shake which was still a real bargain compared to what a value meal costs today. The photo above shows coffee being sold for 12 cents. Try going to Starbucks and asking for a 12 cent cup of coffee and see the looks you get. Five apple turnovers for a $1 also sounds like a good deal. 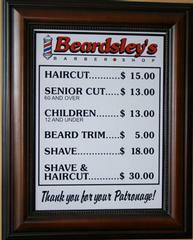 Noticed that you had to spring for an extra four cents to buy a cheeseburger for 27 cents. Burger Chef saved on labor costs by having dogs cooking up the burgers. 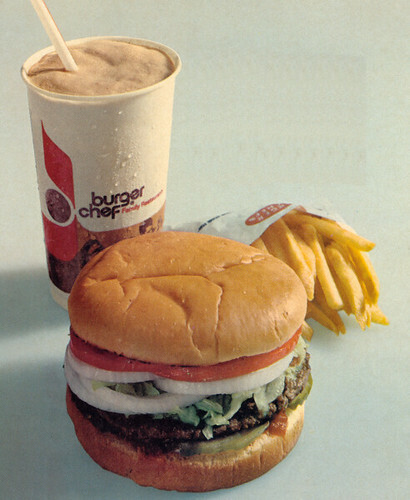 Burger Chef was sold to General Foods Corporation in 1968. They started a Fun Meal for kids in the early 70’s and sued McDonalds, when they started serving Happy Meals, but lost their case in court. General Foods would divest themselves of their ownership in Burger Chef, by selling the company to Imasco, a Canadian company which also owned the Hardee’s chain of fast food restaurants. There may no longer be any Burger Chef’s in operation, but will always have the memory of the store in Alexandria, Louisiana too many years ago to remember. Burger Chef no longer exists, but their competitor McDonalds is still going strong with over 34,000 stores operating worldwide with 1.7 million employees. McDonalds may have won the burger wars, but they can’t take the memories away from Burger Chef fans. Jesus, an employee at O’Neill makes a bad impression on Undercover Boss Toby Bost of O’Neill Clothing by telling him he knows where to get some good weed and asks the boss if he ever thought about opening a pot dispensary. Toby Bost the CEO of O’Neills Clothing was shocked when he encountered an employee named Jesus in one of his stores. Jesus didn’t win any points by saying the clothes were clothes a five-year old would wear. He won even fewer points by telling his boss, who was disguised as Frederick that he knew where to score some weed. Jesus even went so far as to ask Frederick if he ever thought about opening a pot dispensary. He also revealed he took drugs before going to work to make it through the workday. Bost said in a film snippet that he was worried that Jesus might offer other employees or customers some weed. Surprisingly he didn’t fire him on the spot, but I wouldn’t have blamed him if he had. Toby Bost left, is shown by employee Jorge how to make a T-shirt at the print shop. Bost then meets the polar opposite of Jesus at the print shop. Jorge loves his job and is patient with Frederick as he shows him to make T-shirts. However, Jorge has a sad back story as he talks to Frederick on a break. He asks Frederick if his children are healthy, then tells about his child having a rare disease and telling about how the child is being fed by a tube. Won’t go into details about the other employees he encounters, since these were the two most interesting employees to me. Jesus, Jorge and the other employees featured on the program are sent to meet with someone about how Frederick did on the job. They are really there to meet Toby Bost the CEO of O’Neill Clothing, who reveals his true identity to them. It was not a fun meeting for Jesus, as Bost tells him how disappointed he was in his behavior at the store and mentioned that about the weed and pot dispensary. Jesus asks if he is fired, but Bost says he is not fired but will have to undergo a training program to learn how to treat customers and fellow workers with respect. Jesus thanks Bost for the second chance and at the end of the show it is mentioned that he may even stop smoking. The meeting with Jorge went much better as Bost thanked him for his company loyalty and then offered a large sum of money to help with the medical expenses of Jorge’s sick child. This is when the show really connects with the audience, when you see someone who did their job the right way be rewarded. Rick Silva CEO of Checkers and Rallys fast food restaurants appeared as Alex Garcia, who had a pharmacy go out of business in Philadlelphia. trying to find work in the fast food business. Rick Silva the CEO of Checkers and Rallys fast food restaurants went undercover as Alex Garcia in an episode of Undercover Boss. He learned that almost none of the staff had been trained for their jobs. He took particular interest in a worker named Todd who worked hard, but was constantly being hounded by the general manager. Todd needed the job to help support his mom and was trying to go to culinary school to be a chef. The behavior of the general manager upset Alex enough to talk to him in the parking lot, about how he treated his employees. The general manager named Stevens said he had to yell at them, for them to pay any attention to him. Alex finds out during the conversation that Stevens was thrust into the general manager’s position after completing only three weeks of the six weeks training course. He reveals to Stevens that he is the CEO of Checkers, so he lost his secret identity as Alex to correct the situation. Alex then apologized to Stevens for not providing more training before he was promoted to the general manager position. 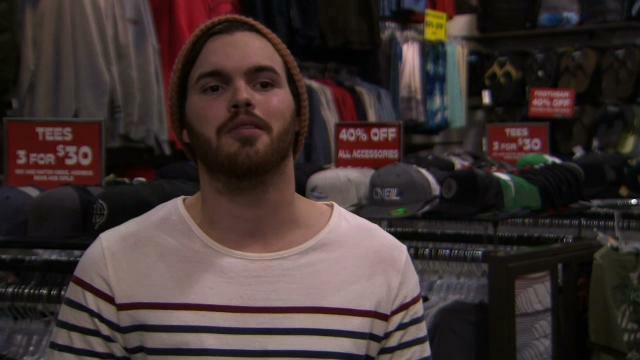 Alex tells Stevens that he is closing down the store immediately. He then reassures the employees that they still have their jobs and apologizes to them for not making sure they had been trained properly. He then tells the employees that he is going to have several general managers in the store next day, to train the employees and to get the restaurant back on track. When Todd goes to meet the boss after Alex has returned to being Rick Silva again he is not shocked since he already knew Alex was really Rick the CEO. Silva tells Todd how much he appreciated him as a worker then tells him he is giving him $15,000 to go to culinary school and to help his mother. These two episodes of Undercover Boss made me realize how good this show is. It shows how CEO’s don’t have a clue, as to what is happening at their stores and how inept they are at doing the work of the employees. It also shows how CEO’s can be compassionate, when they learn about their employees struggling to pay their bills. This show is reality television at its best. There is more real emotion in the last 15 or 20 minutes of this show, when the CEO’s reveal themselves and help their workers financially, than most reality shows have in an hour. 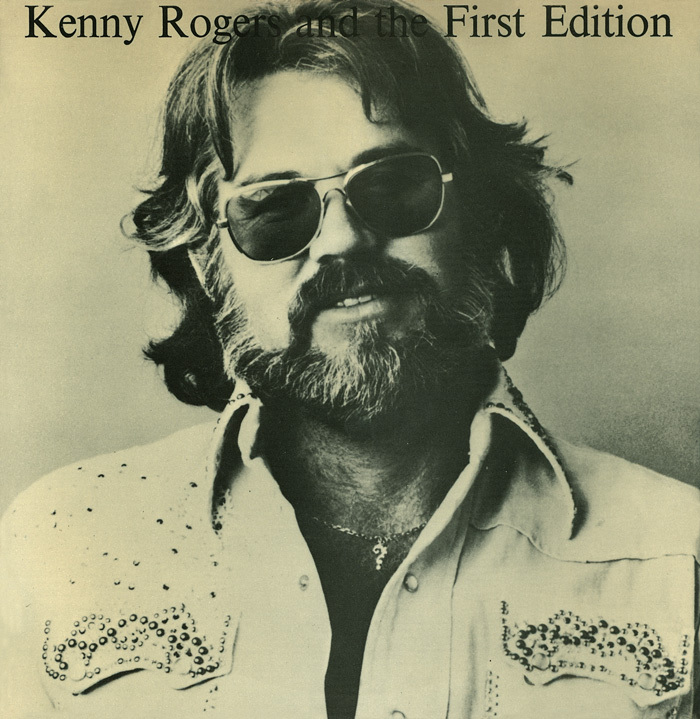 Kenny Rogers as he appeared when singing with First Edition. Kenny Rogers was born August 21, 1938 in Houston, Texas. Rogers is in his sixth decade of being in the music business, starting the mid 50’s with the The Scholars, which was disbanded and Rogers struck out on his own. Kenny singing That Crazy Feeling in 1958 on Carlton Records singing in the doo-wop style. Only 194 people have viewed this video of Kenny Rogers at the House of Blues, which apparently was on the Disney Channel sometime in the past. He is seen early in the video singing Walkin’ My Baby Back Home a 1931 song and nothing like a song, you would expect him to sing. He is shown playing the upright bass in another song at the 14:25 mark in the video. When he sings When I Fall In Love, one of the girls in the audience rests her head on the shoulder of the man, that she is sitting with, which demonstrates the emotion which Rogers sings with carries over to the listeners. He sings another song from the past, in I Get Along Without You Very Well a 1939 tune, penned by Hoagy Carmichael and demonstrates the gift of Rogers to sing any genre. At 43:53 in the video Rogers sings perhaps the best rendition of I Remember You, that I have ever heard sung. The video is interspersed with Kenny telling about the highlights of his career. Clips from the past are shown, in addition to him singing at the House of Blues, with the backing of a string orchestra. The video shows Kenny singing Sweet Home Chicago, showing Kenny can sing blues music too. He also sings some of his big hits like Lady and The Gambler. This video is worth watching, because it shows how multi-talented Kenny is and helps bring home the fact, that he may be one of the best singers, to ever walk on a stage. This is why it is a mystery, why he has never been enshrined in the Country Music or Rock and Roll Hall of Fames. Maybe his crossover hits, prevented him from being defined into either category. One thing for sure is that he is going to sing well, regardless of what genre he is singing at any particular time. Kenny Rogers seen while part of the Bobby Doyle Trio with Kenny on top, without his beard. Kenny joined the New Christy Minstrels in 1966, but he left the folk group the next year to form the First Edition. The group’s best known hits were songs like Ruby, Don’t Take Your Love To Town and my personal favorite Reuben James. Kenny and the First Edition singing Reuben James. Ten years later in 1976, Kenny would begin his solo career which is still going strong 36 years later. 1977 would produce his first No.1 hit in Lucille, which would be the first of many No.1 hits. He would have seven No.1 hits when the 1980’s started. Then he recorded his first song to be No.1 in U.S. Country, U.S. and Adult Contemporary, which was Lady and maybe his most popular song recorded and was written by Lionel Richie. 1983’s Islands in the Stream recorded as a duet with Dolly Parton placed first in all three of the categories again. It has been 26 years since Kenny recorded a non-duet No.1 with his recording of Tomb of Unknown Love in 1986. Kenny recorded many duets and eight of those songs made the Billboard charts. Kenny singing Don’t Fall In Love With A Dreamer with Kim Carnes. Kenny singing Islands In The Stream with Dolly Parton at the 25th anniversary of Dollywood in 2010. Kenny and Dolly singing the same song a few years earlier. Yesterday, I found a Kenny Rogers DVD of his appearance on Live By Request on the CBS television network. I had given it to my wife for her birthday several years, but she had never gotten around to watching it till yesterday and that is why I am writing this article today. I was surprised to look in my MP3 player and there wasn’t one Kenny Rogers song in the player. I will have to rectify that situation, as soon as possible but I do have a Kenny Rogers LP, which I hope to listen to today. Any collection of Kenny Rogers hits would need to include Lady and The Gambler. Kenny singing Lady in the Live By Request program on CBS television. Viewers called in any Kenny Rogers song they wanted to hear and Kenny would sing it. Kenny singing one of his classics The Gambler. Kenny singing She Believes In Me. Kenny singing Through The Years at Giants Stadium 26 years ago. Kenny Rogers is not only a great singer, but is also a talented photographer. This short article shows some of his photography. Kenny is so well-respected in the photography field, that he has been a judge in a Digitial Camera’s Photographer of the Year competition, which is described in this undated article, but appears to have happened in 2011. Kenny Rogers decided to have plastic surgery, when he married his wife Wanda Miller, that is 29 years younger than him. They are still married 15 years later. He has been married for 48 years combined, after five marriages. He has twin sons Justin and Jordan who will be 8 on July 6. His wife is a twin and both he and his wife have a history of twins in their families. Kenny singing Love Or Something Like It at Bonaroo festival three weeks ago. Sorry for the poor sound quality, but thought readers would want to see Kenny is going strong at 73. Kenny and Lionel Richie singing Lady after Kenny tells about the history of the song. If you only watch one video in this article this is the one to see. To see two professionals like Kenny Rogers and Lionel Richie singing one of the greatest songs ever written, makes taking the time to watch it worth every minute. No article on Kenny Rogers would be complete without mentioning his movie career. Kenny appeared in the The Gambler TV movies five times from 1980-1994, which again proved how talented Kenny is in any endeavor that he undertakes. Kenny as he appeared in the series of The Gambler TV movies. Not everything Kenny touched turned to gold, even though it may have in the early days, when his Kenny Rogers Roasters expanded to 350 restaurants in 1995. Three years later, the company was bankrupt and sold for $1.25 million. Kenny must have taken a financial bath, for the company to be sold for only $1.25 million. No Kenny Rogers Roasters remain open in the United States today. I knew Kenny Rogers was a successful singer, but only in the last two days have I learned, just how great he was and is still great today. It is safe to say that Kenny Rogers has made a lasting impression on many Americans, through his music and his acting. I have developed a new appreciation for Kenny Rogers and will be looking for his LP as soon as this is posted. In closing it amazes me that Kenny Rogers is not in the Country Music Hall of Fame, even though he has had 21 country hits. Part of the problem is that maybe the voters who elect singers to the Country Music Hall of Fame don’t consider Rogers a pure country singer, but just sang songs that found their way to the top of the country charts. In addition, I can’t see why he isn’t in the Rock and Roll Hall of Fame either, because if any singer belongs, in both Hall of Fames it would be him. Hopefully he will be inducted to one or the other or both, while he is still with us and can enjoy being inducted, like so many others have in past years. Louisiana has recently been the subject of many television reality shows. The latest is Cajun Justice which can be seen at 9PM CDT and 10PM EDT on Thursdays on the A&E television network. Sheriff Vernon Bourgeois is the sheriff for Terrebonne Parish. The following page has a short biography of Sheriff Bourgeois and his ten deputies. Cajun Justice was originally going to be named Cajun Blue, but guess any name with the word Cajun in the title is more likely to attract viewers. There are presently eight television reality shows, that have been filmed in Louisiana. Four of the shows are being filmed above Alexandria and one is filmed in Alexandria and the other three are being filmed south of Alexandria. It is less than three weeks now till the final vote is revealed by Ryan Seacrest on who will be the next American Idol. Nine contestants have gone home and after Thursday only three will remain. My prediction is that Lauren or Scotty may be home this week, but after the Pia Toscano shocker, nobody is really safe this season. Paula Abdul may not be part of American Idol, but Idol fans who follow her will be glad to know she will be a judge on Simon Cowell’s X-Factor this fall on the Fox network. She apparently left American Idol when she requested $10 million after learning Ryan Seacrest was being paid $15 million, but the producers refused to pay the $10 million so she walked. Now she will be sitting next to Simon Cowell again, which should help the ratings of the new show. Lady Gaga will be the guest mentor on Wednesday’s show. Contestants might want to think twice before placing too much weight on her advice, since she likes to think out of the box, which might not go over well with the judges. Haley Reinhart, in particular needs to be careful with Lady Gaga as her mentor. The contestants will be choosing music from the Jerry Lieber and Mike Stoller catalog this week. Forty of their songs were in the Broadway musical Smokey Joe’s Cafe. This list at Amazon.com shows the titles and sound clips can be heard of each song. This list is not an inclusive list, but contains most of their better known hits. Taylor Hicks has re-opened a restaurant-bar that he performed in while learning the music business. The restaurant is located in Birmingham, Alabama. He is one of the partners who re-opened the restaurant. This article gives many more details on the restaurant, including the menu being offered.